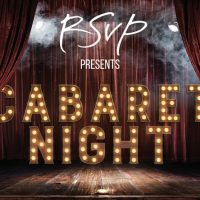 Founded in 2000 by Artistic Director Julie Adams, RSVP’s mission is bringing people together through the arts and giving back to the community. 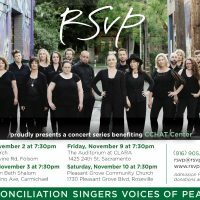 RSVP nurtures the community spiritually with its highly-praised, dynamic concerts while providing concrete, financial contributions that go on making a difference long after the applause. All members of RSVP donate their time which means all concert proceeds can go to local organizations in need. 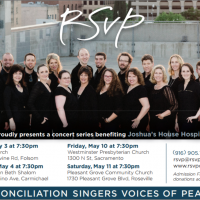 The versatile, skilled singers of RSVP perform everything from classical choral literature and madrigals to contemporary music, freedom songs, folk tunes, and jazz. Each creative and artistic concert is tailor-made to suit the audience and the organization being supported. RSVP has enjoyed collaborating with choirs, storytellers, authors and other musicians to present concerts with fresh ideas and imaginative programs. RSVP continually seeks ways to uplift its audiences and support the communities it serves.